BMW gives the signal of change in the auto industry saying that the moment to move to electric cars is not that far in future. The evolution of electricity storage technologies will ensure the appearance of more efficient batteries and the launch of electric cars with ranges comparable to that of fossil fuel cars. BMW officials think that moment will soon be upon us. One of the core people in BMW’s organization chart, Ian Robertson, said that electric cars that run on hydrogen fuel cells may be the solution for the future of the automotive industry. But this is very unlikely to happen because the technologies that will enable more efficient energy storage in “normal” batteries will evolve and will radically transform ranges and load times of conventional electric cars. “We’ve said we’ll continue to invest in hydrogen and that will result in a small number of production test vehicles being made to prove the technology works. The real issues lie not around what we can do, though, but whether the infrastructure can be built up to supply hydrogen in the marketplace cost-effectively.” said Robertson arguing that the current lithium-ion batteries will slowly be replaced by more efficient technology. “Advances in lithium ion technology are set to be followed by a switch to lithium air and then solid-state batteries. These advances over the next 10 years could see charging time and range worries disappear,” Robertson thinks. Solid-State Batteries are one of the solutions proposed by technology companies. This battery is based on solid electrolytes instead of liquid electrolyte from today’s batteries. This technique allows using conventional electrodes and they are changed with some Lithium Metal. In this configuration, a battery can store two to three times more energy and provides short charge times, thus improving the level of safety: the battery does not contain the flammable liquid presently found on any battery on the market today. 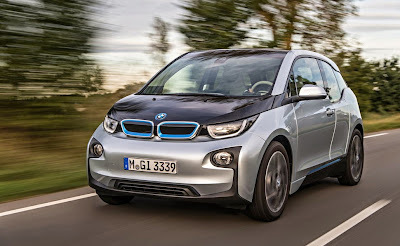 With regards to the pace of adopting electric cars, BMW official believe that it will be accelerated by the manufacturers which, at one time, will redirect investments from classical combustion engines toward the electrical ones. “At some point in the future the technologies will switch over. When the crossover comes and the focus becomes electricity, the rate of learning will accelerate even faster. Relatively, that time is not far away” concludes Ian Robertson. The HEV (hybrid) will be the plausible intermediate stage until the batteries evolve. The most important step has been taken, with the adoption of electric motor for traction. I believe that the manufacturing lines will have lower costs, while the architecture of the interior and the exterior design of electric vehicles may still have tremendous step forward with the adoption of "in wheel magnetic reluctance motors" because they don't use neodymium rare earth.